We offer training solutions for companies of all sizes. We listen to your business needs and tailor each programme to deliver the appropriate solution. Our training philosophy is simple; people learn by doing. 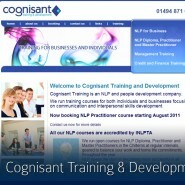 Our training and development programmes are interactive, stimulating and full of techniques that work. Cross Reference © 2019. All Rights Reserved.